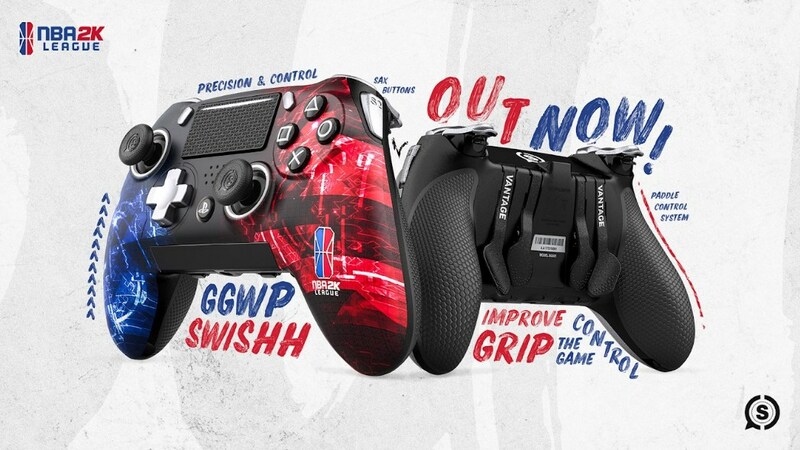 Scuf Gaming, the official gaming controller partner of the NBA 2K League, released a custom PlayStation 4 NBA 2K League controller on Thursday morning. The “Scuf Vantage NBA2KL” comes with 15 unique features, including four paddles and two sax buttons, according to the product listing. The controller starts at the price of U.S. $229.95, and comes with, among other things, a travel case, a 10-foot micro USB cable and accessories, including a sticker pack. You can buy the new controller at Scuf’s website.